Look out tabloid magnets -- Dr. Drew Pinsky is in, and he's telling "Extra" the harsh truth about some of Hollywood's young and famous. In his book "The Mirror Effect: How Celebrity Narcissism is Seducing America," Pinsky sounds off on Lindsay Lohan, Britney Spears and Nicole Richie -- and reveals his take on their addictive pasts. 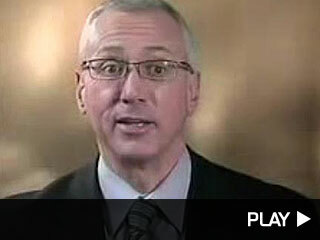 "I think Lindsay is one of my peeps -- she's a straight-up addict," Dr. Drew declares. "I've been saying for awhile she's going to have a major blowout. Major torch-out before she becomes motivated to capitulate to treatment." Drew also discussed Britney's troubled past, which includes two hospitalizations. "Britney had severe mental illness," Pinksy said. "I thought she was going to die. Britney is only alive because of the actions of her parents." According to Dr. Pinsky, former wild child Nicole Richie's salvation from addiction was becoming a parent to baby Harlow. "In my opinion, motherhood has a very positive impact on addiction," Pinsky said. "Nicole is actually somewhat of an inspirational story." When asked why Elvis Presley was so self-destructive, Drew responded, "Elvis was a straight-up drug addict and no one know how to deal with that problem at that time."